Coke Carrier - oil on panel, 12" x 12"
The idea for this one came out of frustration of having a mental block for ideas. 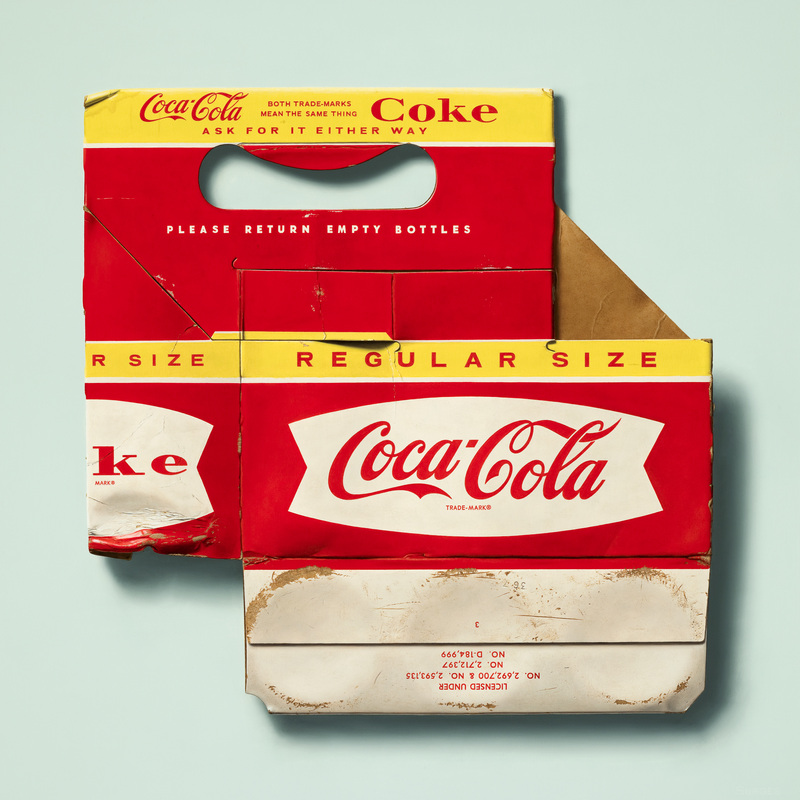 I bought this late 50's cardboard carrier along with some coke bottles I used for another painting. Seeing the carrier flattened gave it a sort of abstract, modern appearance that I liked. From there I proceeded to paint the hell out it. I have had this one completed for a few weeks; I was waiting until Kate gave me a new DSLR camera for Christmas to document this piece. And I recently learned how to stitch photos together in photoshop. So now I can make large images that can be zoomed into. Click the image below to enlarge and zoom in.